Smartphones and computers have become an integral part of our lives, there are no two ways to it. We use them for work, socializing, entertainment, and pretty much everything. However, with such so much dependence on these electronic devices, the risks are high too, especially when we talk about cyberattacks. It’s important for you to realize the seriousness of malware attacks, as the latest studies show that every 4.2 seconds a new malware specimen surfaces on the Internet (in 2016 it was 4.6 seconds). What’s more worrisome is the rise of the super powerful malware i.e. ransomware, especially for the US, its weakest target. According to a threat report, as much as 64% of the Americans are willing to pay the ransom (initiated by ransomware) compared to 26% of the rest of the world, even though the average ransom is around $1,000 which is a lot. Investing in a comprehensive and reliable antivirus program can go a long way in protecting your devices from all kinds of cyberattacks including email phishing, malware, brute force attacks, etc. There are countless antivirus programs on the Internet, many of which are even free to use. However, if you want the highest level of security and protection, then you must choose wisely. 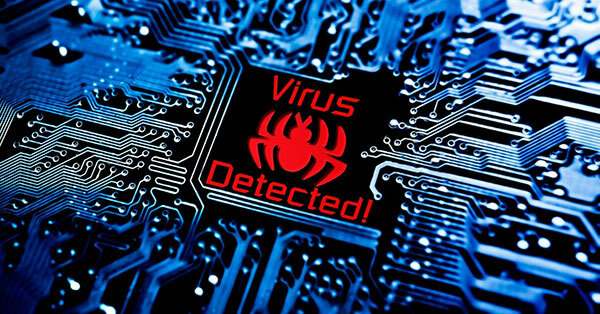 A good antivirus program should have the following features- real-time antivirus protection, ransomware protection, phishing protection, firewall, safe password vault, excellent customer service, and support for multiple devices (laptops, smartphones, tablets, etc.). For instance, Internet Security Programs offer all these features, which you can learn about in the TotalAV review. There are many others that you can check out, but this one is tried and tested, and it works. It’s extremely difficult for a hacker to break into your device unless you make a mistake yourself. For instance, most hackers get access to your devices by tricking you into installing a malware on your device. This usually happens when you use unsafe websites and services like Usenet or Torrentz. Sometimes, the hackers send you an email with a link to a certain software or a website, which if you click it installs a malware on your system. You should be extremely careful when browsing the Internet and should visit only those websites that you trust. You should also never download any software from an email unless you know for sure it’s from a trusted person. The majority of software and OS that you use on your smartphone and computer require updates every now and then, which can be annoying. However, ignoring the same can be a recipe for a cyberattack. This is because a lot of times software developers release updates with improved security features and fixes for certain vulnerabilities that they may have identified. So, only by keeping your programs up to date you can be sure that you have the highest possible level of security. Highlighting the use of a strong password for safety may seem unnecessary here. However, you will be surprised to know how so many people still don’t know what a strong password looks like, or simply underestimate its importance even when they do. A strong password is a combination of uppercase characters and lowercase characters, a special character, and a number. An example of this is Kingdom#10. 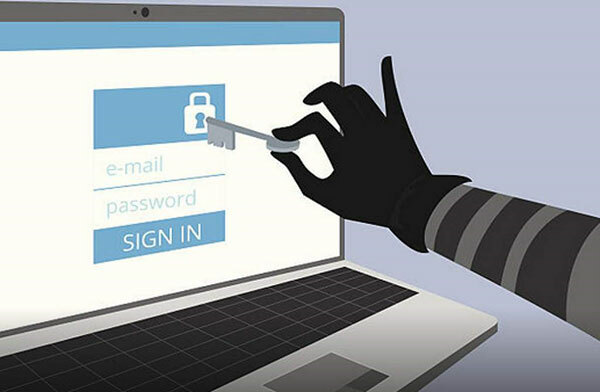 If your password is weak, it can be really easy for a hacker to get a hold of it. So, be sure to pick your passwords wisely. Even if you are taking utmost care to protect your devices, you can’t always be 100% sure. So, it’s important that you have a backup plan in case things go wrong. This is especially the case with dangerous malware like ransomware which lock you out of your device and then you either have to pay a ransom to unlock it, or you can wipe the data from your device. 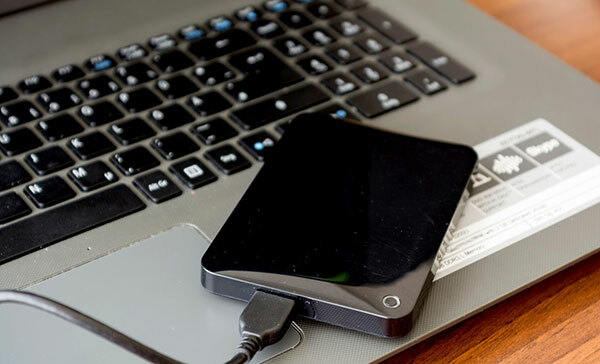 There are a number of backup software available for your smartphone as well as laptop that you can use. You can also buy an external storage device to store your backups. By creating and frequently updating your backups you can ensure that your personal and confidential data is never lost. This is because even if somehow your data security is compromised, you can always restore the data from the backup and start fresh. Identity theft and cybercrimes have become a major threat to the general users and professionals alike. Thus, it’s important you take all the measures possible to safeguard the privacy of your personal devices. You can’t be too careful.